Life isn’t all baking weekends with chums, you know. There’s the day job to consider and Thursday was the day. Ben reminded me at the weekend I hadn’t done Seigle d’Auvergne for a very long time. 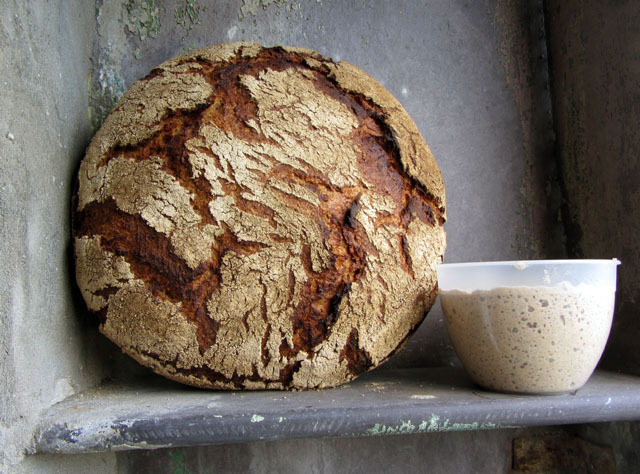 Never mind your roast beetroots, pink peppercorns, nettles, etc, Seigle d’Auvergne reminds you what real bread (no, not Real Bread) is – the taste of the grains. Mick – that is a magnificent rye loaf. I know you will have put your spin on the recipe but was it all your creation or was there a source? 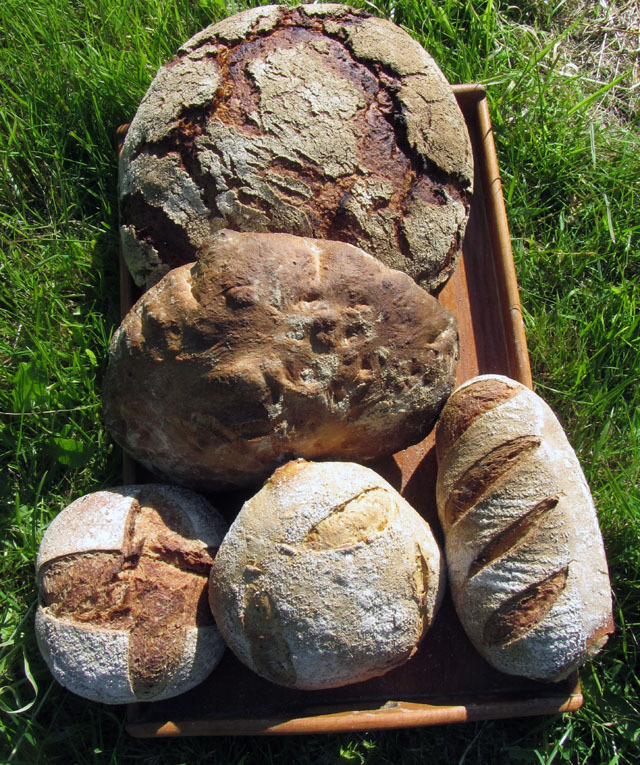 I’d love to try and bake that loaf for Frome Market next Saturday (13.06.14). They are loving your Five Seed and Spelt from the first book. Best, Barry (aka The Other Hill Bakery). Mick – just found the formula and method on one of your old Arcachon posts – thanks. Any tweaks? The water should be at 85%. Spent half an hour thinking but couldn’t work out any reason for taking any of the credit apart from bravery on the field of battle. This time I kneaded it on the work surface being a little more confident in handling wet doughs. If you’re taking it to market I would rehearse it first! The rye loaf looks a great colour and a lot less flat than my version! I’m going to have another go myself. Do you eat the leaven with a slice of it or is it fermented hummus! Bumped into Stig again saturday night at a theatre in Swiss Cottage.